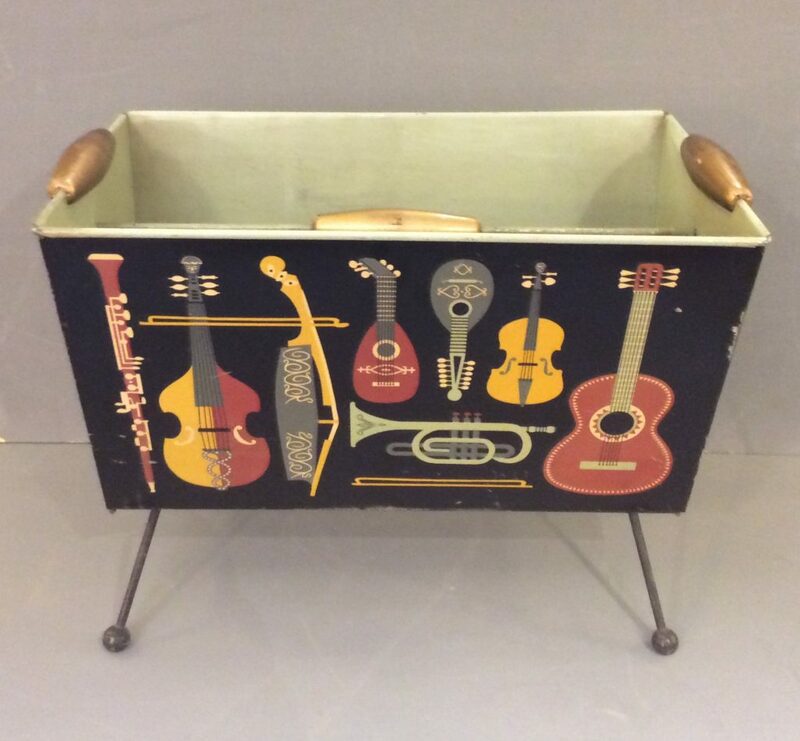 A jazzy Mid Century Worcester Ware Magazine Rack circa 1950 . 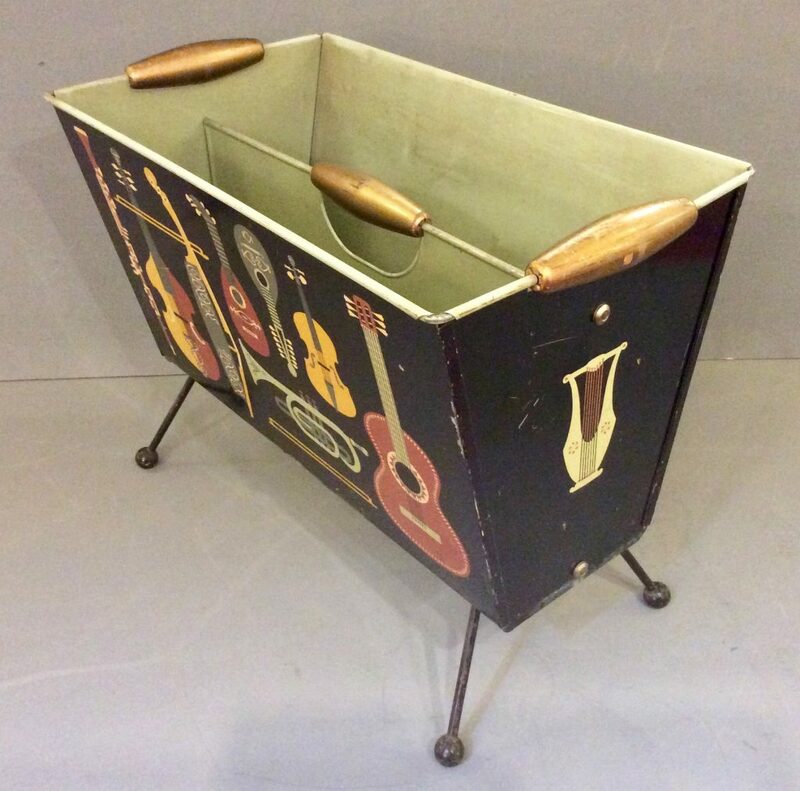 I love this painted metal magazine rack, very much in the manner of Fornasetti but only a fraction of the price! It is painted all around with musical instruments. The insides are painted in a pale green and wooden handles painted gold. The Underneath is stamped with “Worcester Ware Made in England”. Overall condition is good with a few scuffs and scratches commensurate with age. A great Mid Century piece.